Whether you are looking for academic, cultural, spiritual or personal support, health and counselling services, or services to help you with day-to-day activities, we can help. At Student Learning Services you can access online resources, in-person help and workshops to help you with math, academic writing, study skills and more. Small group of students who share common courses, interests and/or residence. It's one of the best ways to meet new people while developing skills to help you succeed in this new academic environment. 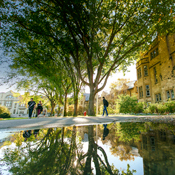 Unique programs for first-year students transitioning from high school to university that provide academic supports and advising in a supportive and close-knit learning environment. 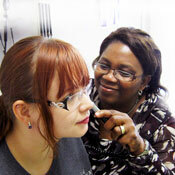 Offers urgent and non-urgent physical and mental health care to our students and their spouses and children. The SECC can help with everything related to your job search from building a great resume to helping you prepare for a job interview. The SECC also hosts annual career fairs that put you in touch with employers and companies looking to hire our graduates. Provides information and support to new and current international and inbound exchange students. Students interested in study/work abroad options or exchange opportunities in other countries can also access a wealth of information and resources at ISSAC. An inclusive gathering space that promotes the spiritual, physical, emotional and mental well-being of Aboriginal students by providing a variety of programs and services centered around developing healthy lifestyles, coping with loneliness and relationships, and recognizing successes. 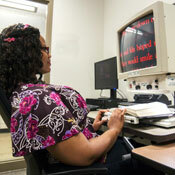 Assists students requiring accommodations based on disability, religion, family status and gender identity. Students who need assistance are encouraged to register with AES as early as possible. The faith leaders at the U of S are a multi-faith religious resource to all students, staff and faculty. 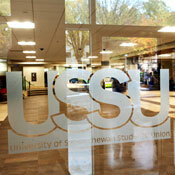 The USSU centres are open to all students, and provide resources, support and services in a warm, positive atmosphere.